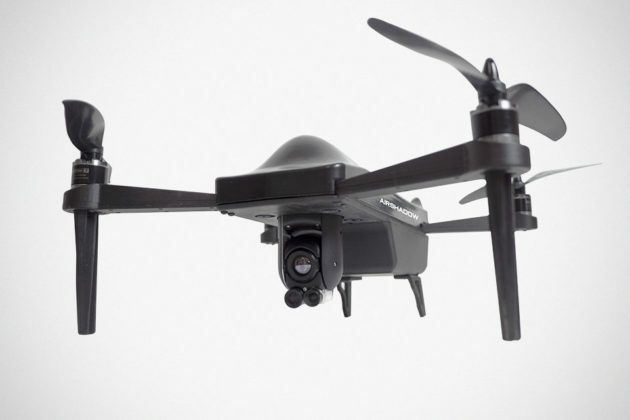 This is Airshadow Ready-To-Fly Professional Mini Drone from French drone maker, Drone Volt. 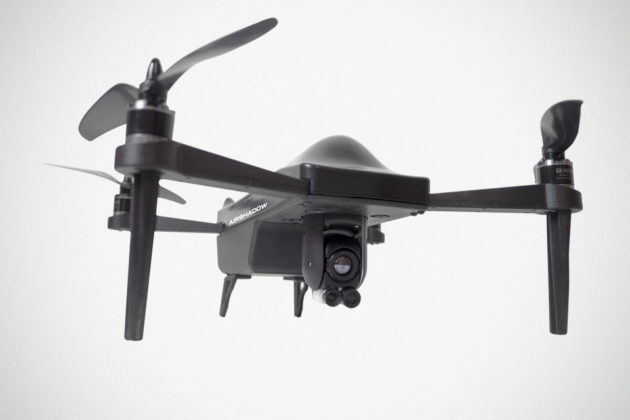 We think it might be an answer to DJI Mavic 2 Enterprise, but the unlike DJI’s, Airshadow is designed from the ground up as a professional drone for use in surveillance, recognition, inspection, and search and rescue operations. Not surprisingly, really, because these guys have been making commercial-grade drones since 2011. Airshadow is programmable for autonomous missions and it can do so with low visual and noise signature at speeds up to 90 kilometers per hour (about 56 mph). Keeping in mind that this is no Inspire or Phantom; this thing here is a pro-grade rig loaded with tech to enable it to fulfill the aforementioned applications. Airshadow features tech like AES-256 encryption data transmission, camera with infrared detector to acquire high precision images and videos both day and night, a rigid carbon fiber-reinforced nylon chassis, and powerful motors that pushes the aircraft through rough weather conditions, even braving moderate rain and going up against wind speeds of up to 40 km/h (25 mph). 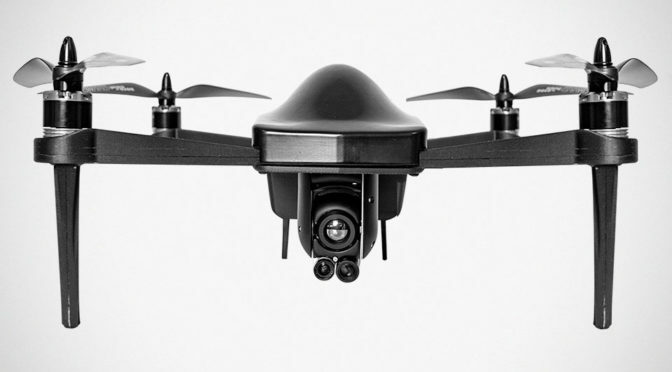 • A high performance camera weighing 180g: the double EO-IR (Electro-Optical-Infrared) stabilized camera offers professional exceptional image quality and sharpness both day and night. Its 20x digital zoom enables it to capture detailed images. • A combination of a 160×120 thermal camera and a 2 megapixel color camera. It is possible to switch from one camera to the other or to display the two in picture-in-picture mode. 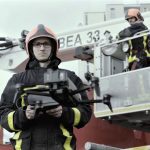 Drone Volt Airshadow Ready-To-Fly Professional Mini Drone measures 31x 33 x 15 centimeters (12.20 x 12.99 x 5.91 inches) and tips the scales at just 2 kilograms (4.40 lbs), thus making it a super compact UAV system that slips easily into a backpack and won’t break your back. You can learn more about the Drone Volt Airshadow Ready-To-Fly Professional Mini Drone over at the product page, or request for more information using the form available on the product page. 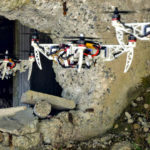 All images courtesy of Drone Volt.